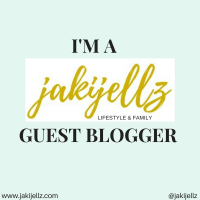 Recently I have been partaking in guest post on other bloggers pages. After an ‘epiphany moment’ I decided I would start compiling a list of them so they were easy to find from my blog. I am very proud of many of these and consider them some of my best writing. I will update this page as I write more guest posts. It has been a really fun experience so far and anyone wondering if they should volunteer for guest posts I would recommend it. Hopefully I will be able to partake in more in the future. Geraldine from Over Heavens Hill asks me some excellent questions. These really got me thinking! Read it HERE. Emma runs a series on her blog about mother feminists. Here I give my account of what feminism means to me and how I feel about the subject. Read it HERE. Due to a recent loss I explore how and when to tell a young child about death. Read it HERE. Christmas tree shaped chocolate orange brownies…. What’s not to love? Read it HERE. Amy and I did a cupcake post swap and what a pleasure it was too. Read it HERE. I use coconut oil for practically everything. Read some of the uses here.